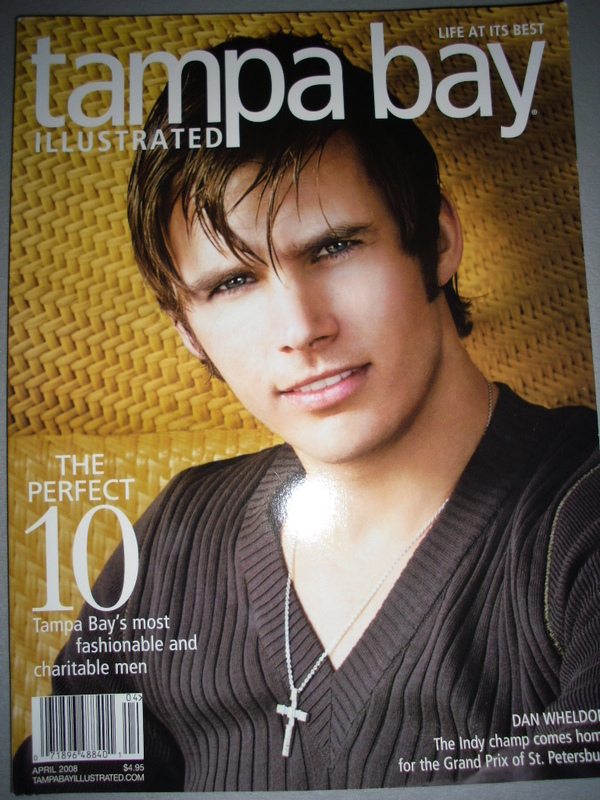 Once upon a time, I was the managing editor at a luxury-lifestyle magazine in Tampa Bay. I had the pleasure of meeting a lot of famous people and interviewing notable celebrities. Every April, our issue would focus on famous men who lived in Tampa Bay and gave a lot back to charity. 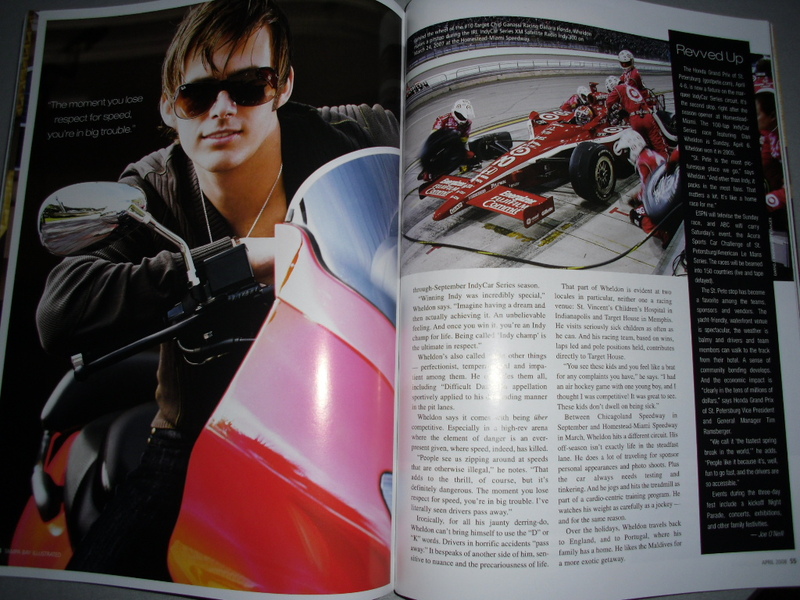 And the April 2008 issue was no exception. 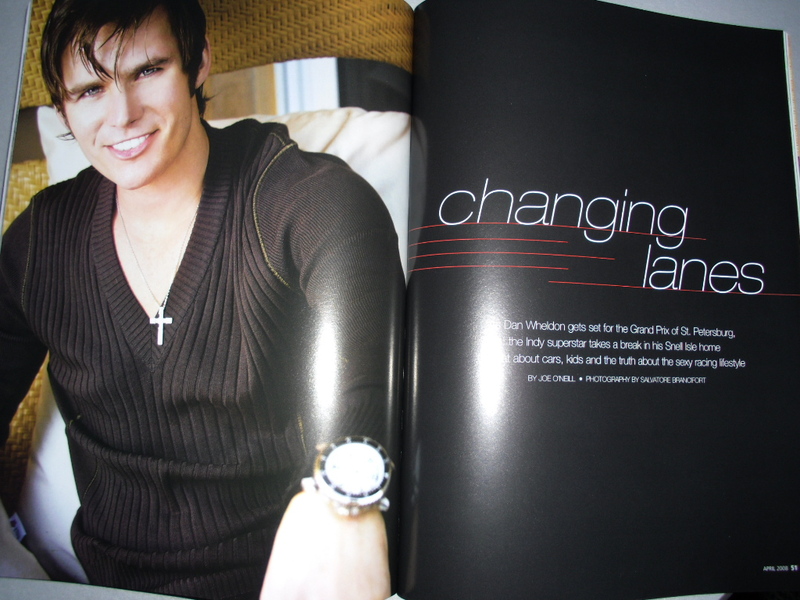 We decided to feature Dan Wheldon, a St. Petersburg resident who had made a name for himself in the racing world. He was 29 at the time, and he invited several people to his home for the story. I was lucky enough to be invited to attend the shoot and interview as well. At his home in St. Petersburg, Dan Wheldon greeted us all with a smile. With a writer and photographer in tow, we started setting up for our first shot. Dan had two cars out front, one that he won as the grand prize of a race. Dan was smaller than I expected, but his personality was larger than life. In fact, he looked quite a bit like Tom Cruise in person. Susie, his fiancée at the time who later became his wife, was a delight. She helped set up several shots, and you could see that she really kept him calm. Most people don’t know that Dan was a bit of a neat freak and wasn’t crazy about shaking people’s hands. And a a room full of magazine types probably didn’t help. But you wouldn’t have known it from Dan because he was just as gracious as could be. Susie kept in touch with me after the shoot, and she had invited me to the Grand Prix in St. Petersburg the following year. I couldn’t attend for some reason, but I appreciated the gesture anyway. Dan Wheldon went on to marry Susie and have two beautiful children. My thoughts are with his family through this very difficult time. It was a pleasure to have met Dan and I appreciate all he gave to our community. And that’s life in a nutshell … you never know when your number might be up so life it to the fullest each and every day. happy. Life is way to short not to be. This was awesome Mindy andyou are right Life is very short. Enjoy it while you can. As long as you have your health you have it all… God bless Dan’s family… One Day at a time..